The weather is warming up, and the end of the school year is coming fast. Remember the feeling of joy you had as a child when summer break finally came? Freedom! As a parent, though, you might be worried about the “summer slide.” This year surprise your child with an end of the school year gift that they will not only enjoy, but that will also keep them learning over summer break. 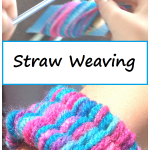 And check out our summer crafts and activities for more fun ideas for summer. Your child has worked hard all school year. They deserve a break from worksheets and spelling quizzes, but you also don’t want them to lose all those skills they’ve worked so hard on. These gifts will keep them thinking and learning all summer so they are ready when school resumes in the fall. Journal: A blank writing journal and some colorful pens (or pencils) is perfect for inspiring your child to practice writing skills this summer. Buy a new journal before that family vacation and collect ticket stubs and pictures to add to the journal as they write about the places you visit. Or, use the journal to write letters back and forth with your child. Leave a short note thanking them for helping clean up the dishes (or for playing nicely with siblings) and be sure to ask a few questions for them to answer in their next journal entry. Games and Puzzles: There are so many fun and educational board games available. Check out Brain Quest Smart Game . It has questions that that focus on science, math, art, reading and the world. Work on spelling and vocabulary with Scrabble or similar game. 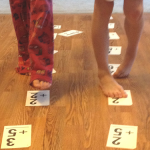 And we love these math games; so fun they won’t even know they are learning. 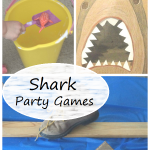 For preschool-aged children, check out my list of preschool games they will love. Plan a weekly family game night (even if it’s just half an hour) and make memories this summer having fun and learning together. Kids Cookbook: Cooking together is a great opportunity to work on reading skills, following directions, fractions and more. Let your child choose a recipe early in the week and write out a grocery list together for the ingredients needed. (Sneaking in a bit of writing and spelling.) Then have fun creating a yummy dish for the family to enjoy. Magazine Subscription: Kids love getting mail! Imagine the smile on their face when they see their name on their very own magazine. Not only will they be working on reading skills, but most kids magazines also have a variety of puzzles to solve and keep them thinking. Toy Subscription: One such company, Pley, has over 400 Lego sets to choose from! Your child can get all the benefits of following directions and building new sets each month without cluttering up the house or paying full price for those larger, more expensive sets. (I love that they have some of the discontinued sets you can no longer find in stores.) They also have tons of other educational toys, like HexBug sets (another great S.T.E.M. toy) and K’Nex. S.T.E.M. Toys: There are so many great toys on the market that foster science, technology, engineering, and math skills. 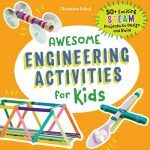 Younger children will love exploring how gears work. Remember Tinker Toys? Your child can design all kinds of things, take them apart, and build again. Both of mine love the set of Tinker Toys we have that belonged to my husband as a child. HexBugs are super affordable and are a great introduction to simple robotics. Your child will spend hours engineering mazes for them, all the while learning. Snap Circuits give your child a chance to learn about basic circuitry while building things like flashlights, sirens and other fun simple technology. Science Kit: Going along with the whole S.T.E.M. idea, you can easily create your own science kit . For close to $20 you can gather the supplies to do tons of fun science experiments with your child. Put the items in a plastic tub, stick a bow on it, and watch their face light up as they try their hand at some kitchen science. Tinkering Kit: By gathering up items you probably already have in the house and storing them together in one spot, you will be providing them endless hours to build and get creative. Not sure what to include? I love the ideas provided in this DIY Tinkering Kit. Summer break is coming. 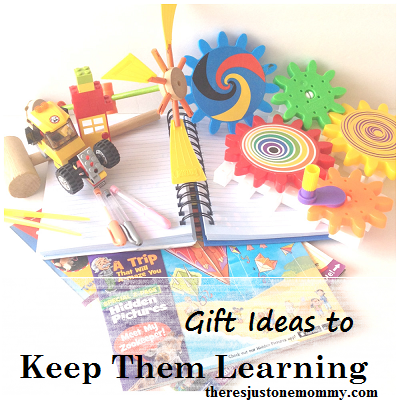 These end of the school year gifts will keep your child learning while having lots of fun, too. Originally this was a sponsored post on behalf of the Pley Company. All thoughts and opinions are 100% my own. Great ideas! I will definitely look into the Pley Lego subscription. I would love to see you post about various summer reading programs to help your readers compare them. So many choices out there, but they are pricey, so it’s hard to know which ones provide the best value. Thanks! Thank you for stopping by. You are right, there are so many different reading programs out there. We are currently trying a new one out, and have a few favorites from the past. I will write it all up when I get a chance. Neat idea’s, I am always looking for ways to keep my children occupied during the summer months and if they are learning new things at the same time, all the better! Thank you. I hope my list helps someone. These gifts are great of those “I’m bored” days. These are WONDERFUL recommendations! My girls have magazine subscriptions – and they are the BEST! Plus what kid doesn’t like to receive mail?! We explored snap circuits at a library program and my kids loved them – I would love to get a set of our own! Mine both love the Highlights magazine subscription they got for Christmas. It isn’t often kids get mail, so it is a huge deal when it comes. 🙂 We haven’t tried out Snap Circuits ourselves yet, but they sound like such a great hands-on activity.